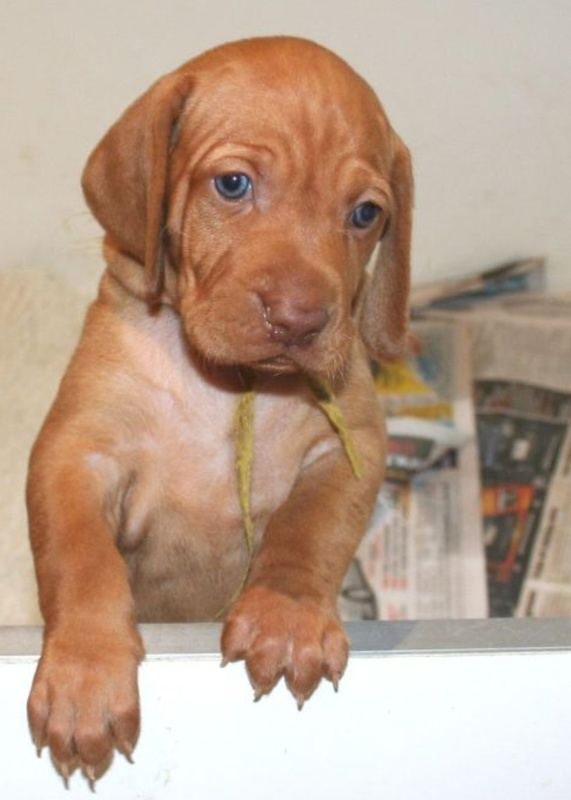 Sophie as a wee baby (then affectionately know as Miss Yellow!). 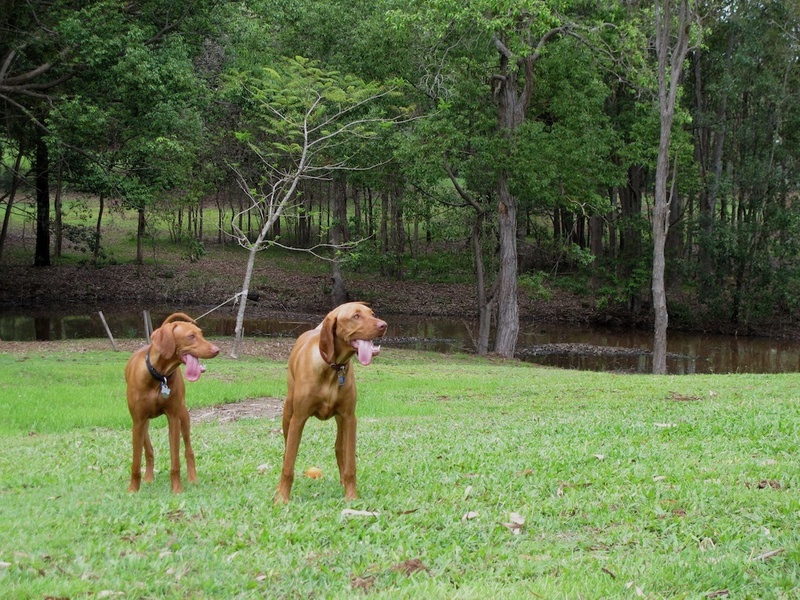 All the gang! 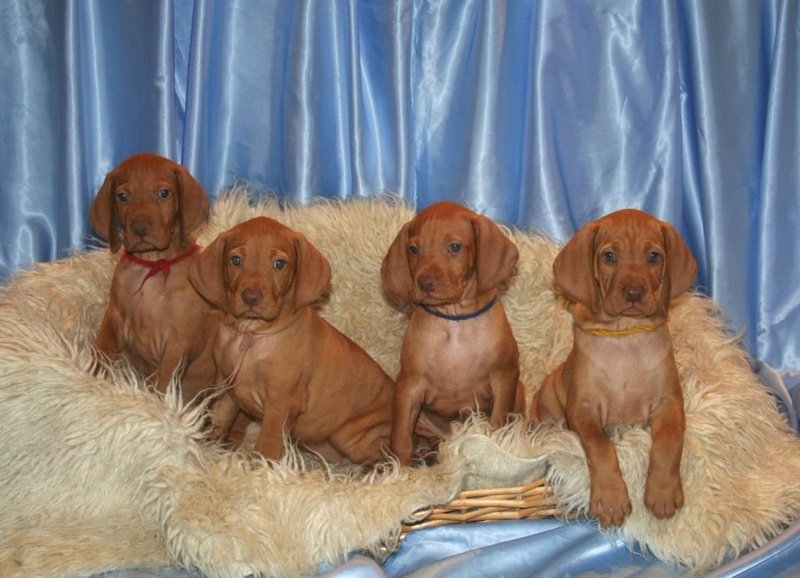 Me second from left, Soph extreme right. 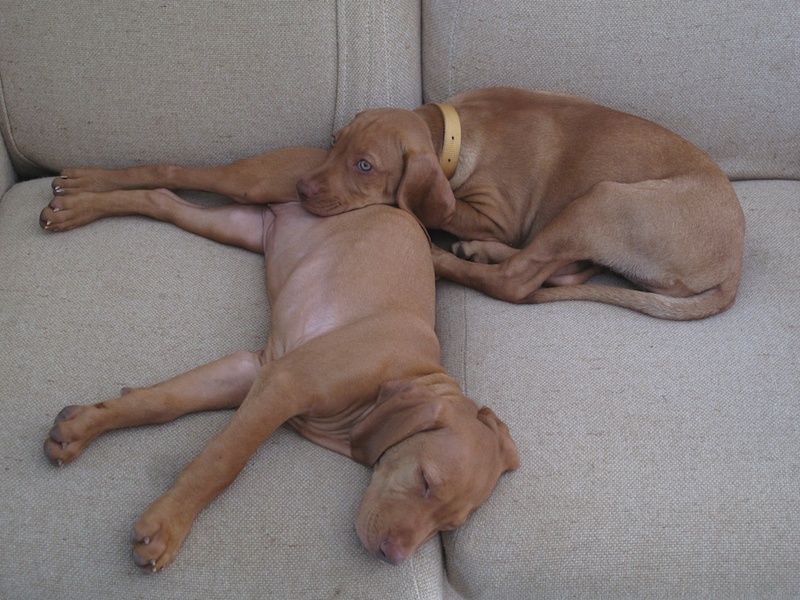 Oh boy, all that destruction is exhausting…thank goodness for pillows sisters! 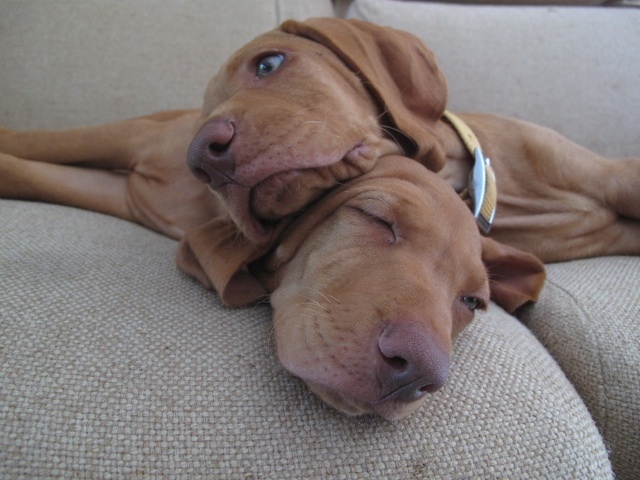 What can I say, together we redefine cute…! 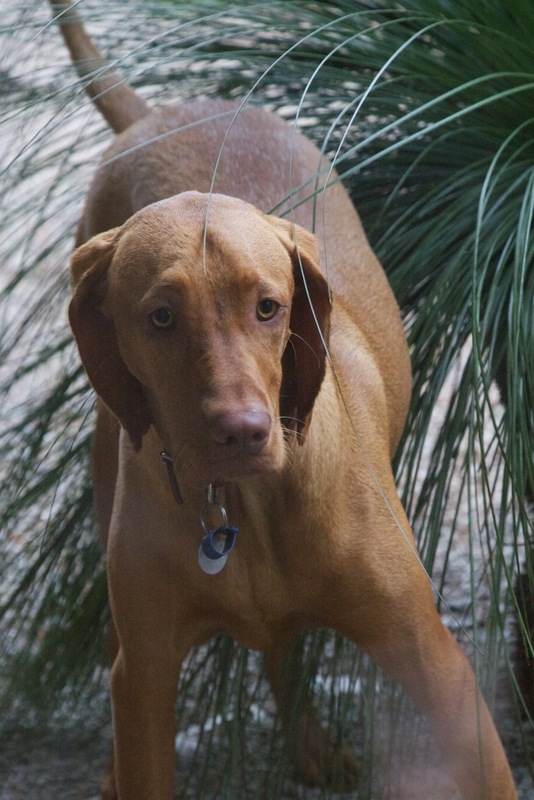 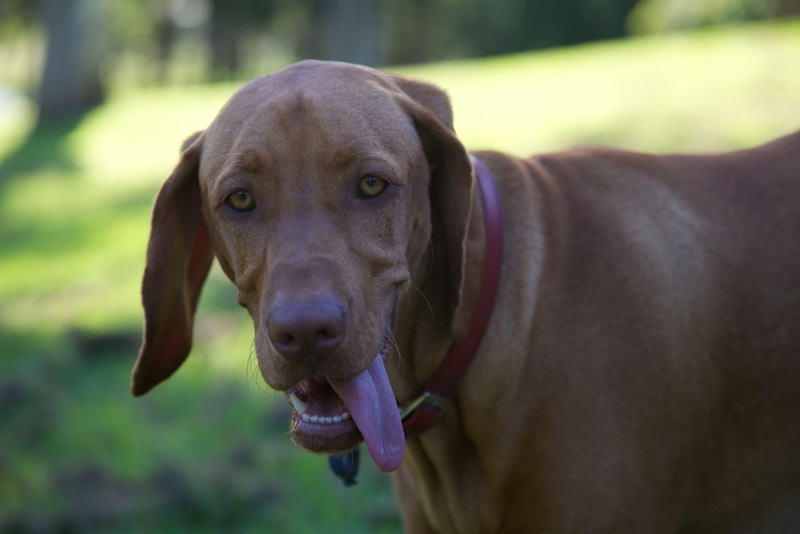 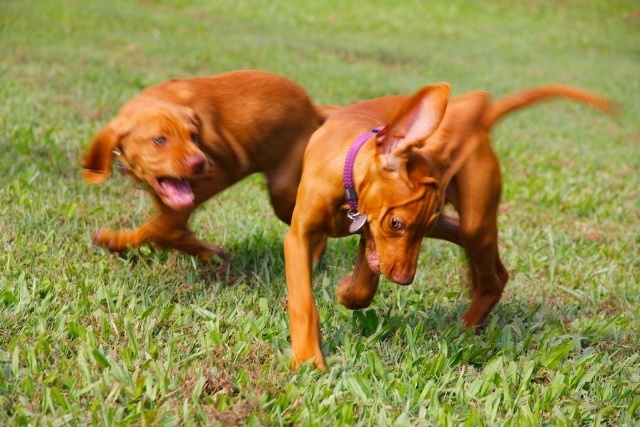 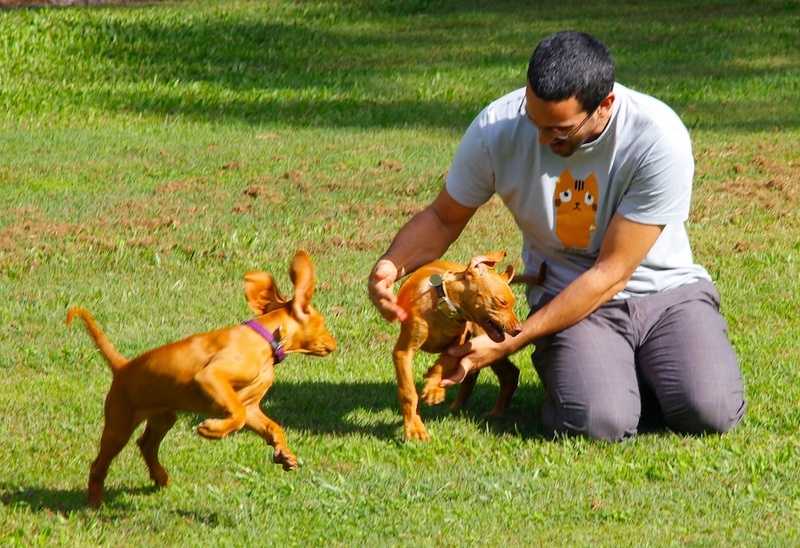 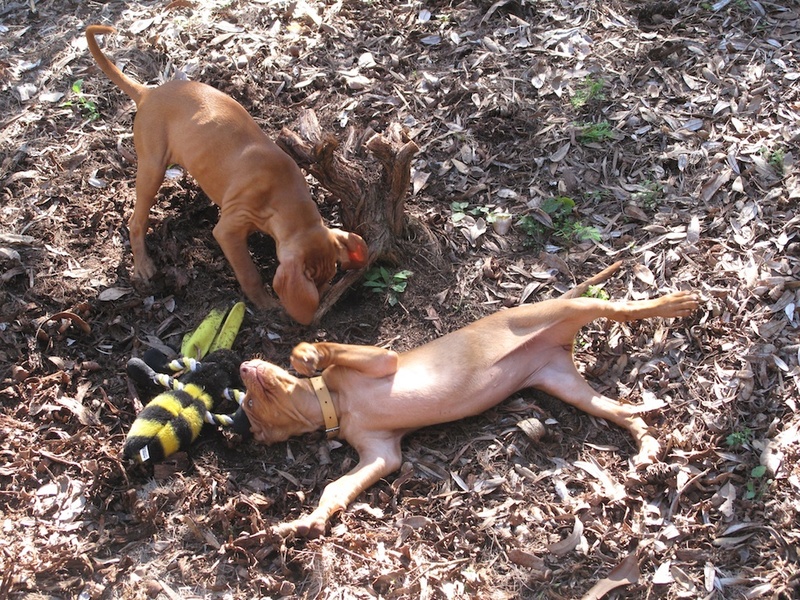 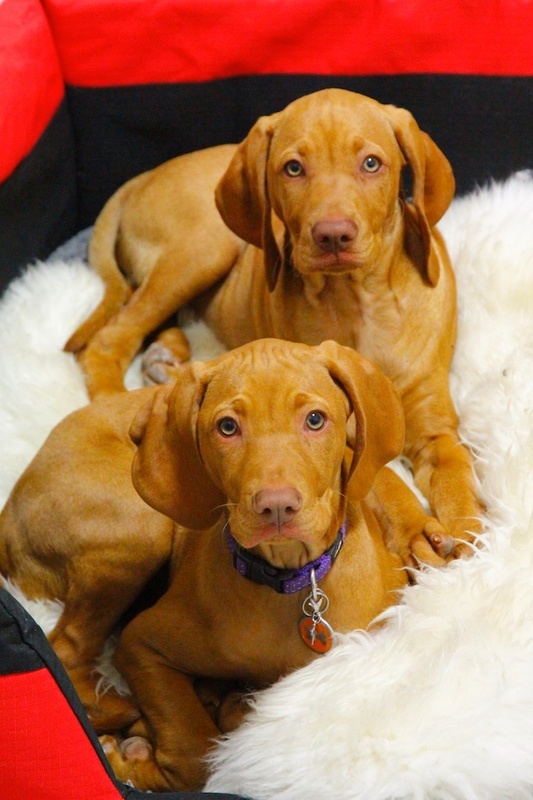 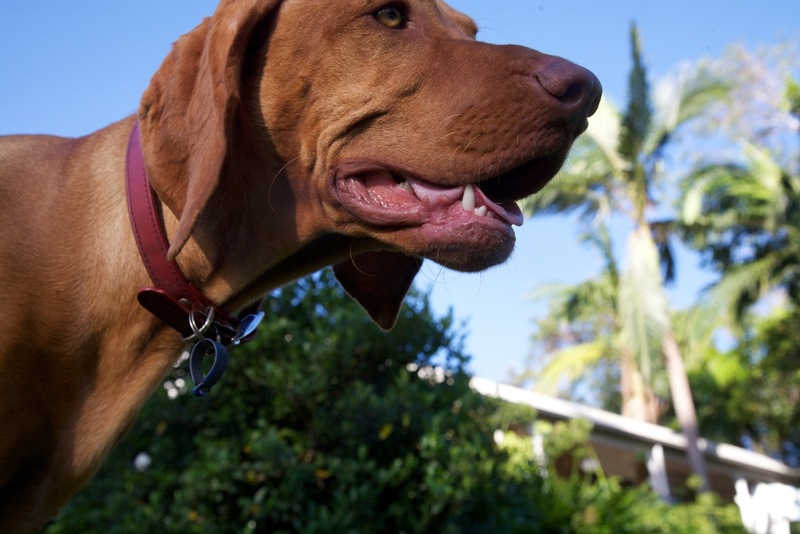 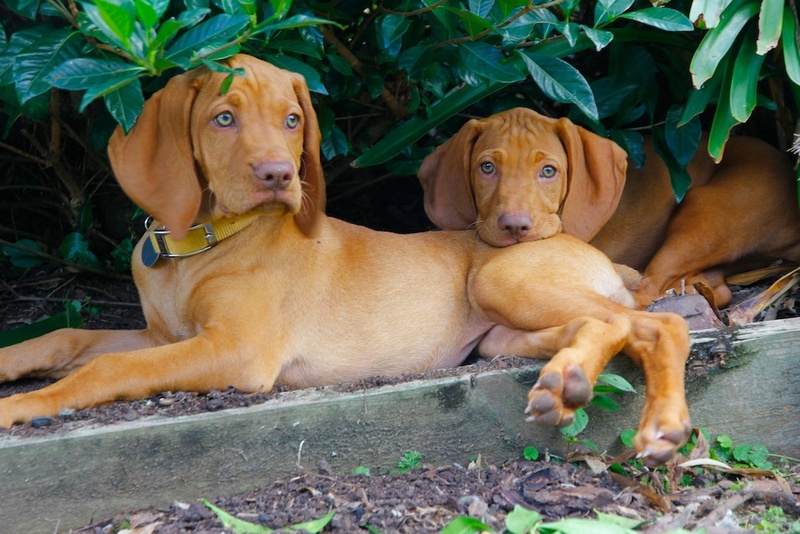 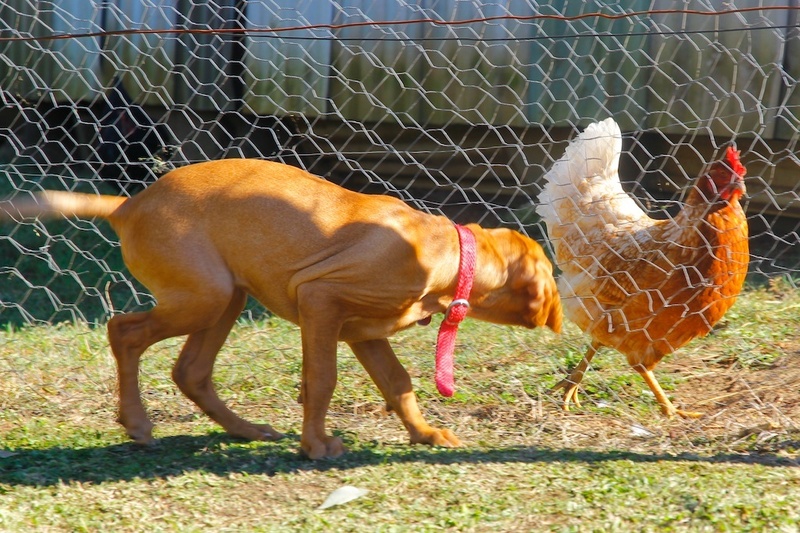 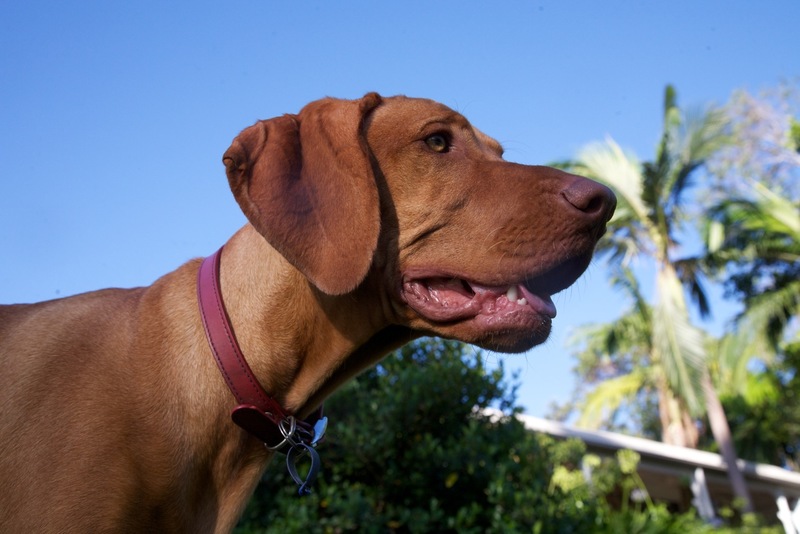 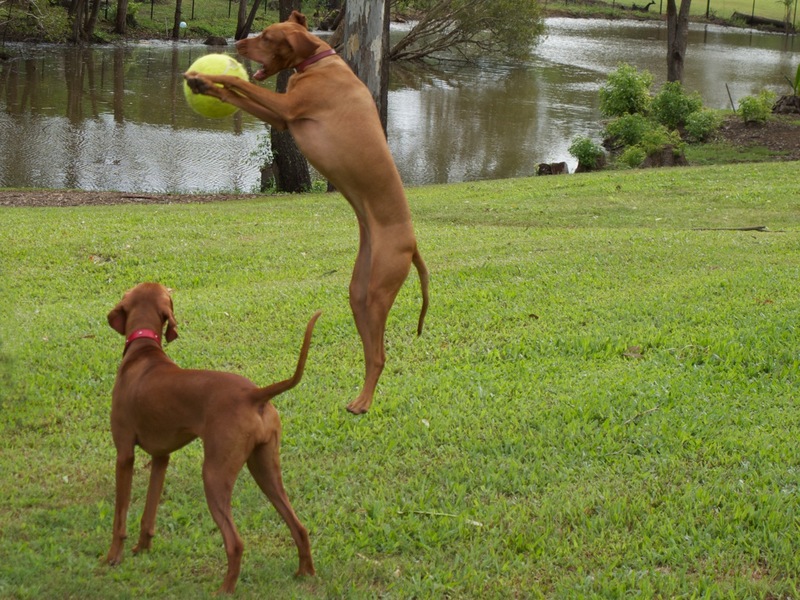 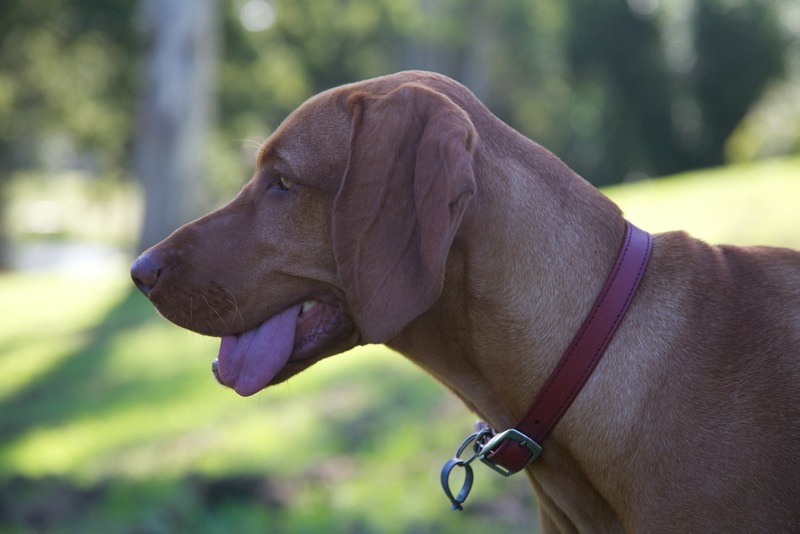 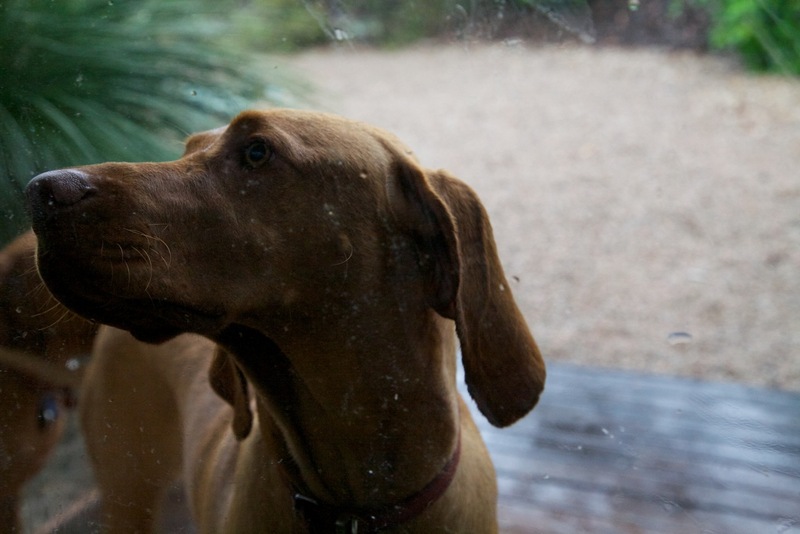 Bella & Sophie star in…Vizsla Wars…coming to a backyard near you!! 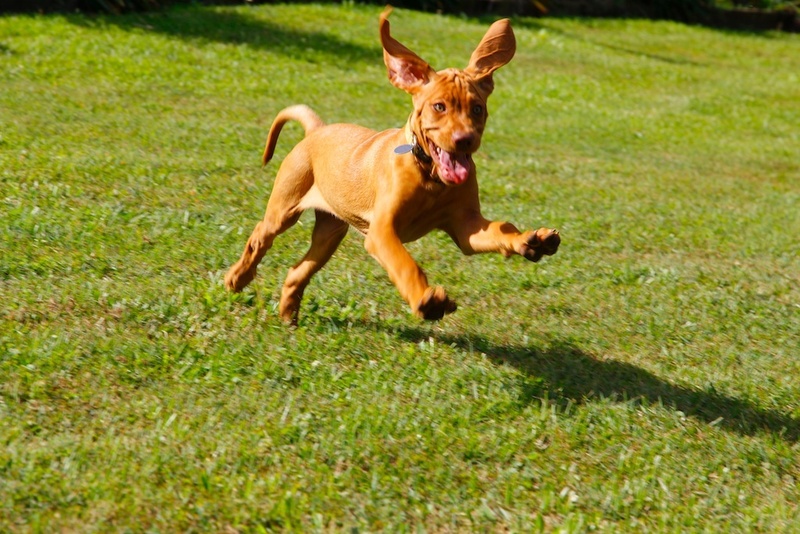 Grrrrr!!! 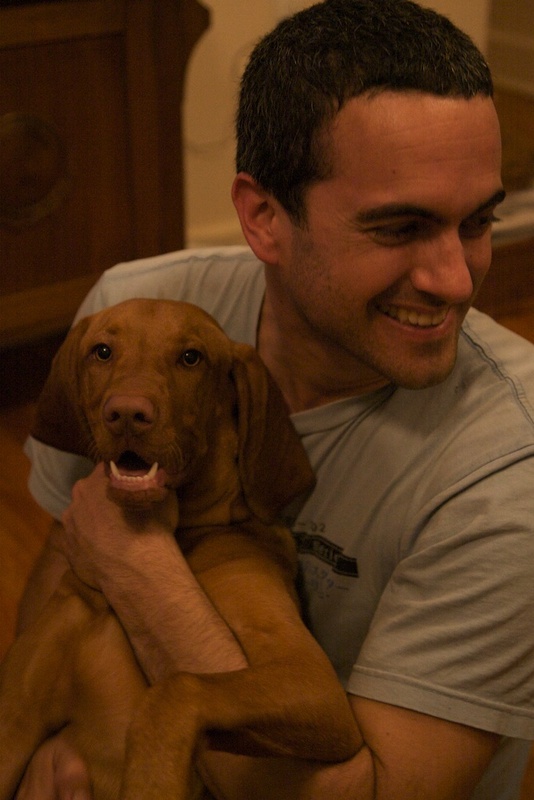 Sophie = luxury dog pillow. 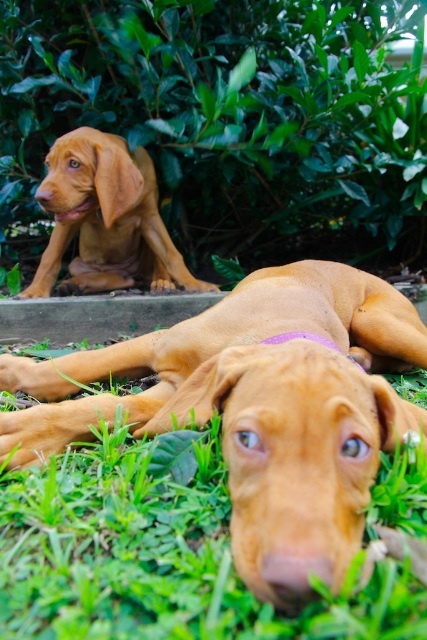 Chill out time – me at front collapsed, Soph behind. 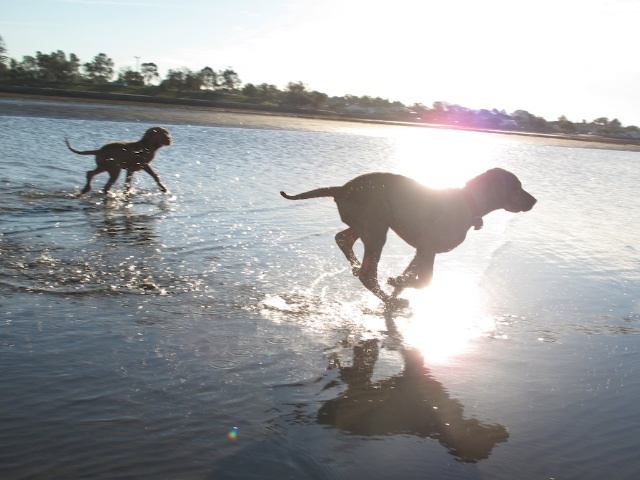 Our first beach trip! 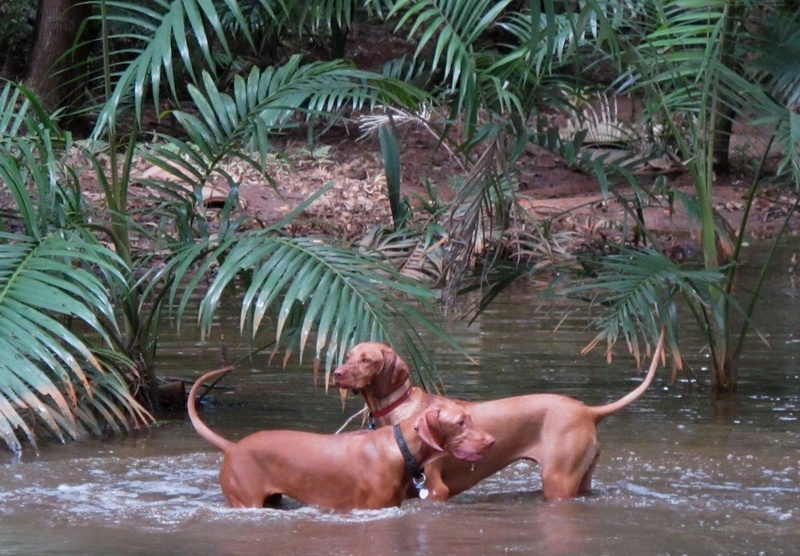 YAY – Soph flies in front, I follow. 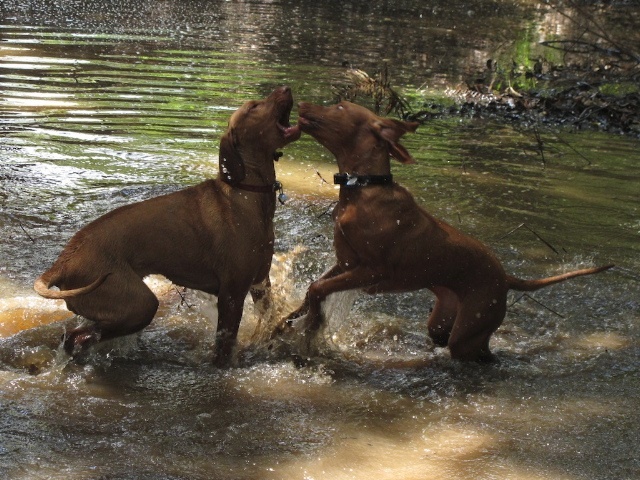 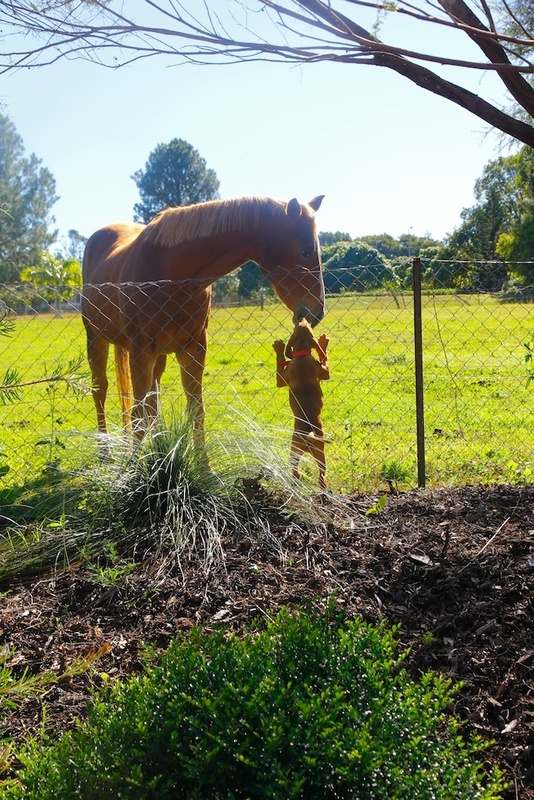 Sophie’s place – grass, creek, mud = a recipe for FUN! 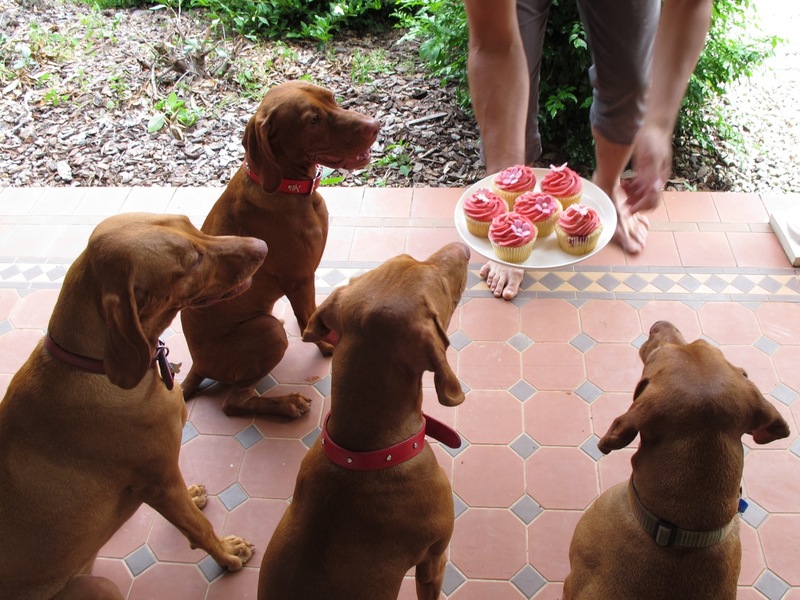 My beautiful sis on her first birthday…(L – R Sophie, Dougal, me, Gigi). 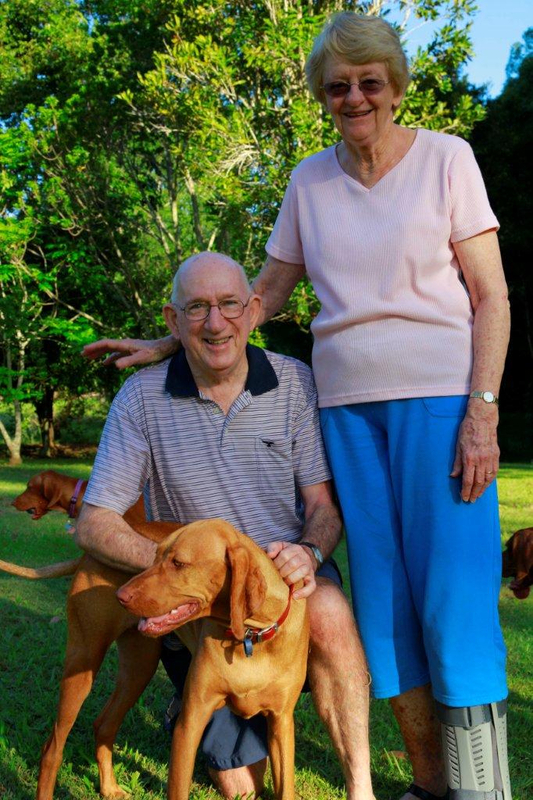 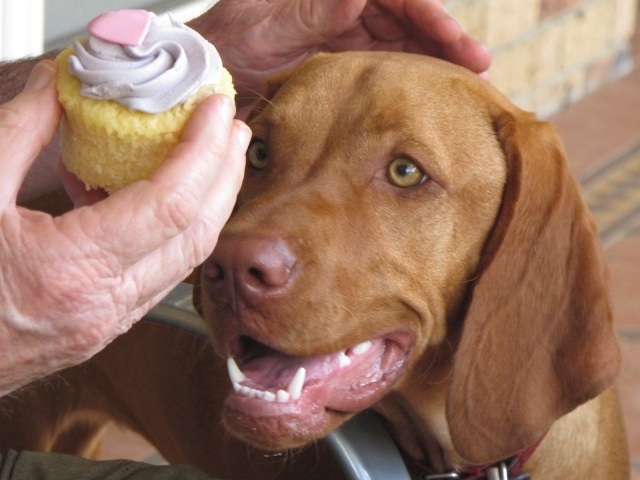 Vale, Sophie, you will be sadly missed.